Pipalkoti is a small and scenic town situated at an elevation of 1,260 mts above sea level. It is located 17 kms after Chamoli on NH58. Pipalkoti acts a relaxation point for people traveling to Badrinath, Auli, Hemkund Sahib and Valley of Flowers. Nestled amidst lush green mountains and terraced fields, Pipalkoti provides delightful views of the snow clad mountains and green hills all around. Village Tourism: Tourists can explore the vicinity and learn about the Garhwali culture and tradition. One can walk around the villages and learn about their way of life, customs and festivals of the locals. Nature Trails: Being a vast land of green pastures, Pipalkoti is an ideal place hike and indulge in small treks to the hills from where one can have mesmerizing view of the Himalayan peaks from that vantage. There are few accommodations available for tourists at Pipalkoti. Some budget guesthouses and hotels provide tourists with comfortable stay at affordable prices. Travellers often relax at Pipalkoti, enjoying the picturesque views and delicious food. It lies on the route to the Badrinath Temple of the Char Dham yatra and can be used as a stay point for people visiting Badrinath. Since tourists halt at Pipalkoti to relax and recharge for their journey ahead, there are handful of restaurants at Pipalkoti that serve delicious north Indian dishes and other popular dishes to its customers. 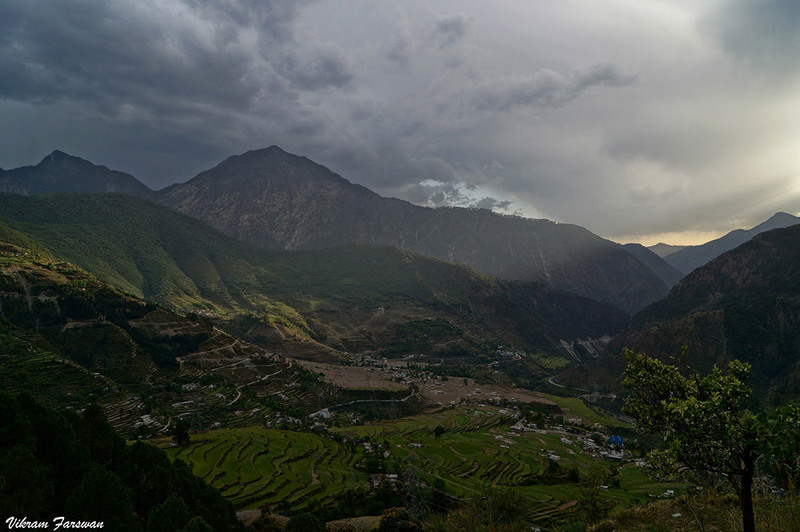 The enchanting view of the valley from Pipalkot only adds to the flavor of the food. Light snacks and sweet shop is also available at Pipalkoti. What is Pipalkoti famous for? Pipalkoti is famous among tourist as Stay during Char Dham Yatra. Pipalkoti is popular destination for following activities/ interests - Char Dham Route, Others. Travelling to Pipalkoti in 2019? Contact us for planning your Pipalkoti tour with best travel packages of as per your requirements!